Durable Plastic Nib. 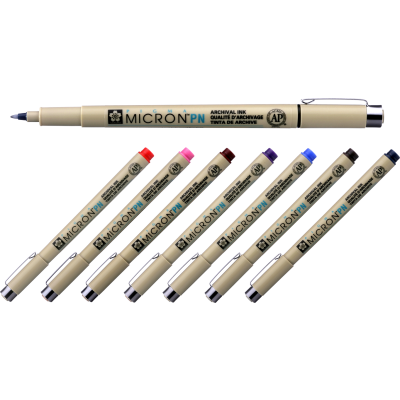 Provides a fine line or medium line based on your personal writing pressure and the angle of the nib during use. 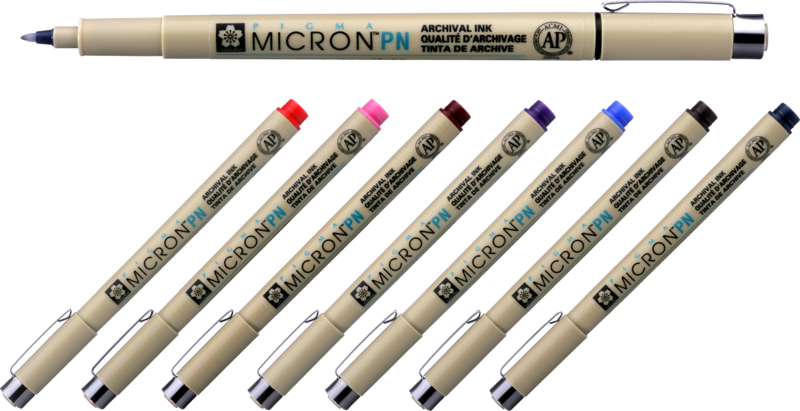 Archival quality, no bleed/ Pigmented Ink. Ink dries quickly and doesn't smear or fade. Also available in Black.